Kylie Jenner pushes my buttons for a few different reasons but she’s definitely taken it to the next level with this latest stunt. 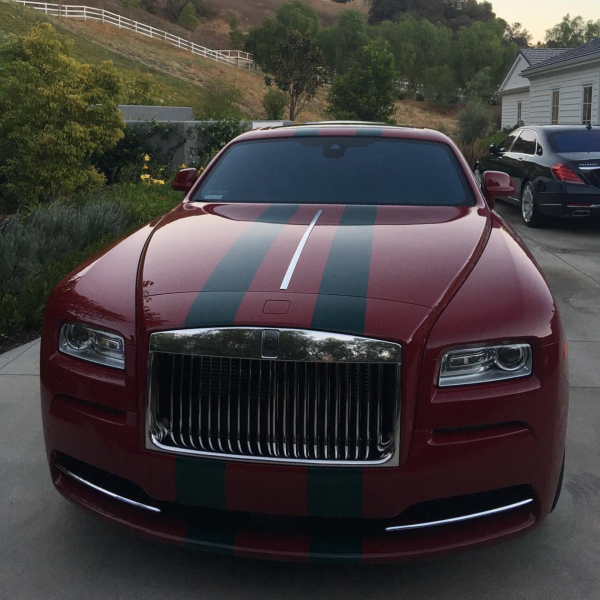 She recently shared a picture of her newly customized Rolls Royce Wraith that she got earlier this year, and the final product is nothing to write home about, to say the least. Call me old school and if you disagree, that’s fine, but I just don’t see the need to put stripe decals on a Rolls Royce. Its unfortunate that she has a great collection of cars but she seemingly ruins them all after her many rounds of customization on each of them.